- Sales Optimized Website with local SEO for show your website in the first position on Google. - Online Ordering System with menu design and product upload, included. - Android Restaurant Branded App published in our account on the Google Play Store. 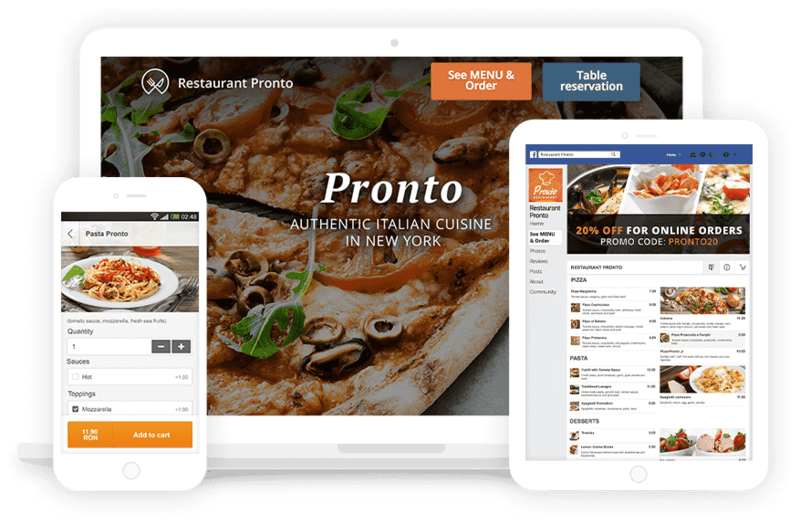 - Facebook Restaurant Page with an Online Ordering System installed inside the page. - Credit Card or Cash Payments. This offer is only for my 3 first customers.